The healing green atmosphere, combined with the serenity and peaceful misty mountain peaks is breath taking to create long lasting memories while your holidays in Sri Lanka. 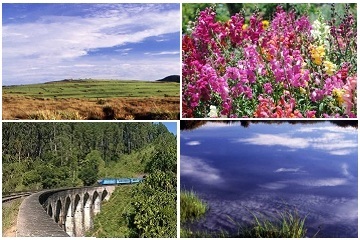 A train ride to the hill country of Sri Lanka organized by us is one of the most beautiful and scenic train rides in the world. Classy Tours as tour operators in Sri Lanka, make provisions to ensure you have a great experience and a comfortable stay while in Sri Lanka. 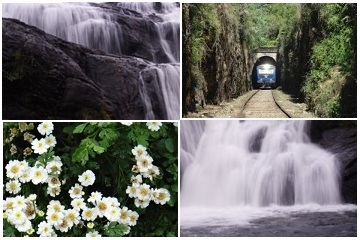 Nuwara Eliya , Ella and Bandarawela are places which would soothe your mind and soul, to calm and rejuvenate you completely. The spectacular view of waterfalls, a trek to the Worlds End and an excursion to a tea estate is a must do in the bucket list. We make your travel in Sri Lanka wonderful and nature lovers would be blessed to see the endemic flora and fauna like the purple money, slender loris which is a major attraction in the Worlds End and uniquely Sri Lankan. Do plan your holidays in Sri Lanka soon to experience the difference of the island nation! 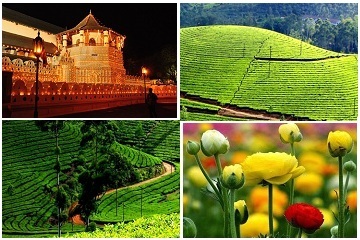 Hill Country tailor made tour offers customer designed journey that are exclusive and personal to each holiday maker. Now you can simply design your tour together with one of our experts to fits with all your requirements.